In more evidence of a disconnect between the front office and the legislature, Assemblyman John McKeon (D-27) clashed with state Department of Environmental Protection (DEP) Commissioner Catherine McCabe at this morning’s Budget Committee hearing. There has to be a plan, McKeon – a former Assembly Environmental Committee chair – told the DEP chief. “I agree. 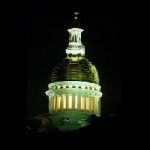 There has to be a plan by the legislature to work with the Governor,” McCabe shot back. McKeon reminded the DEP commissioner that last year she said the department was down 58 employees and she would add 110. “Things aren’t getting done as quickly as we would like them to,” said the veteran assemblyman from West Orange. “You’re not taking it personal are you?” said the assemblyman. McCabe acknowledged that the 2020 budget would enable her to beef up her staff. “You’re good at not giving me an answer,” McKeon said later. “I’ll give you the answer I have, assemblyman,” McCabe returned fire. The assemblyman did say McCabe’s department had been “refreshingly transparent” with the exchange of information, a sentiment later echoed by Assemblyman John Burzichelli (D-3). Jeff Tittel, head of the New Jersey Sierra Club, disparaged McCabe’s leadership at the DEP. “People are leaving the DEP because they were hoping for change and are not getting any – so they are disgusted and leaving,” said Tittel, who lamented a ten percent cut to DP operations in the proposed budget and a 17 percent overall cut. “We don’t have enough staff to deal with toxic sites and solid waste or lead,” added Tittel, who said the DEP is right now 100 staffers below Christie’s: from 2,600 to 2,500.